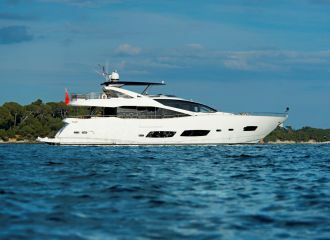 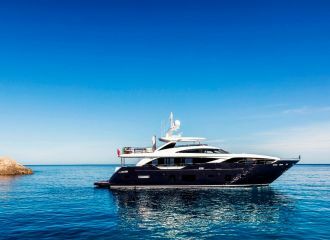 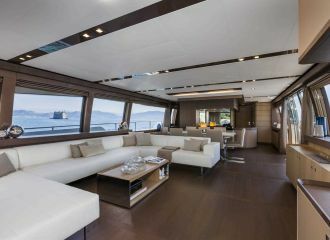 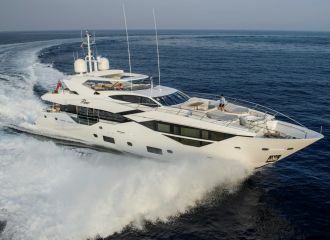 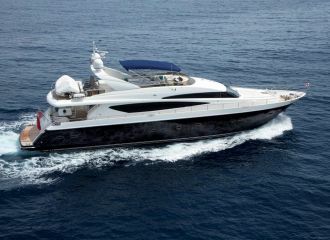 The ideal yacht to cruise the enchanting waters of Montenegro! 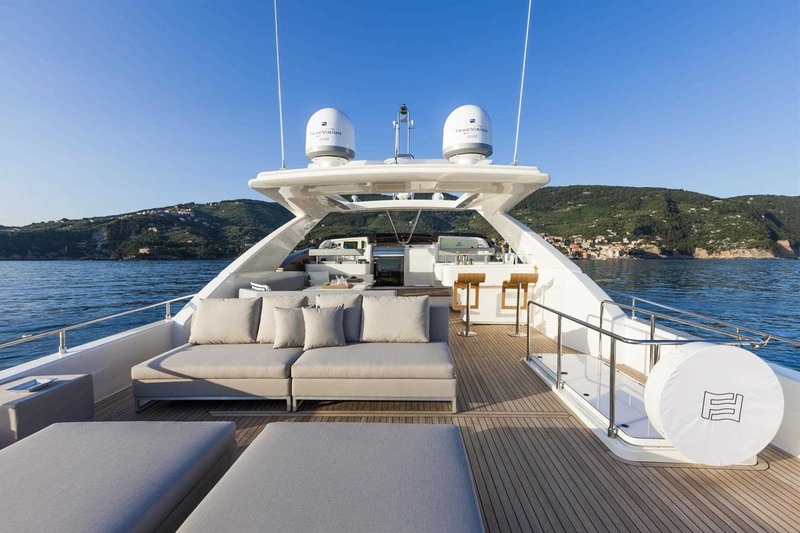 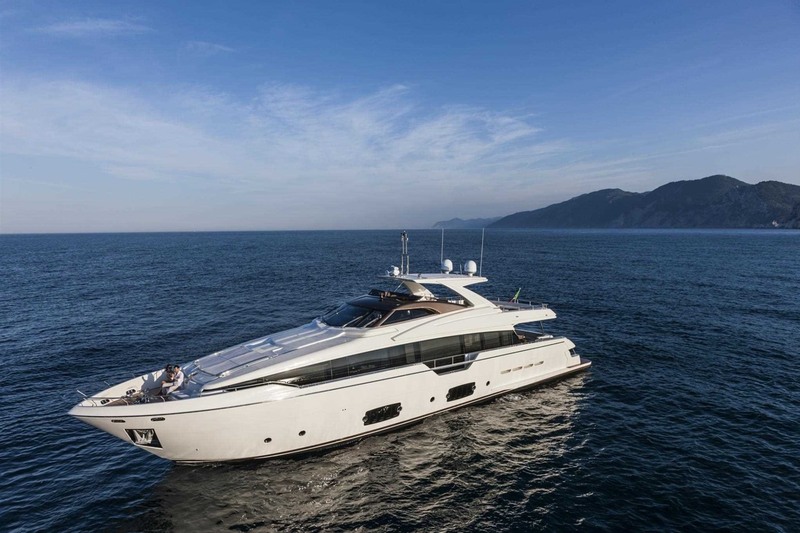 This Ferretti 960 yacht features a spacious aft deck, perfect for alfresco dining. 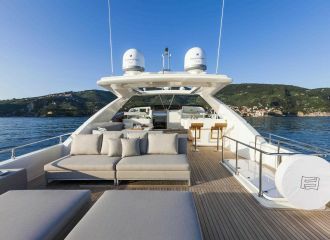 On the flybridge, guests will find a sunbathing area along with a bar, a seating and a dining area. 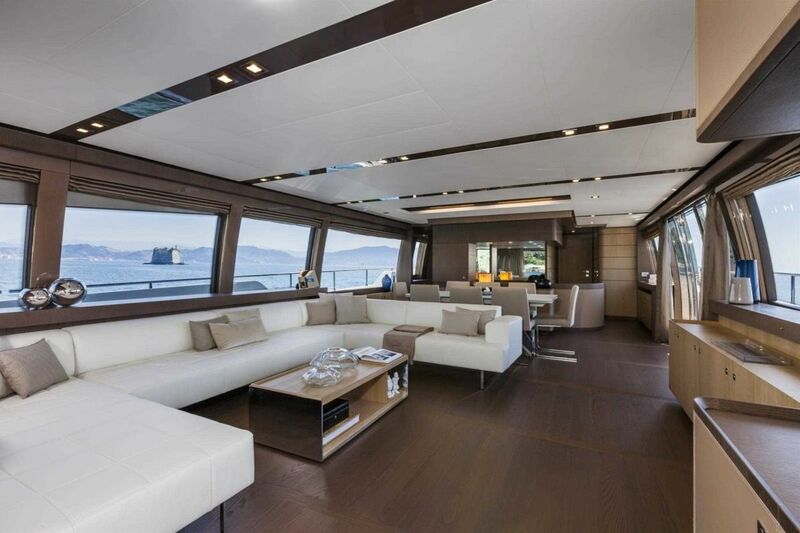 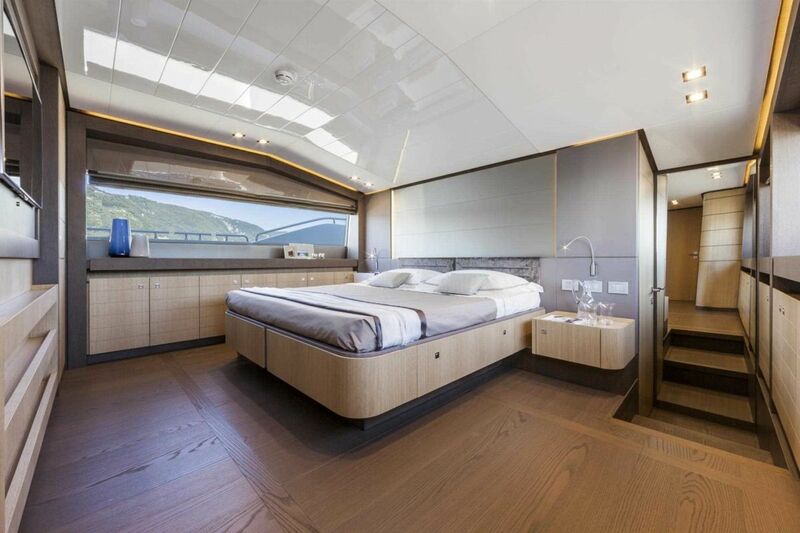 Fully refitted in 2017, the yacht’s contemporary interior features a spacious saloon as well as a dining area with panoramic windows. 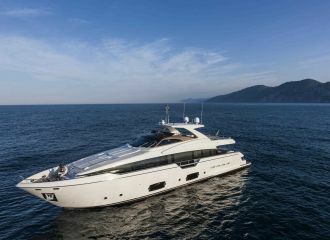 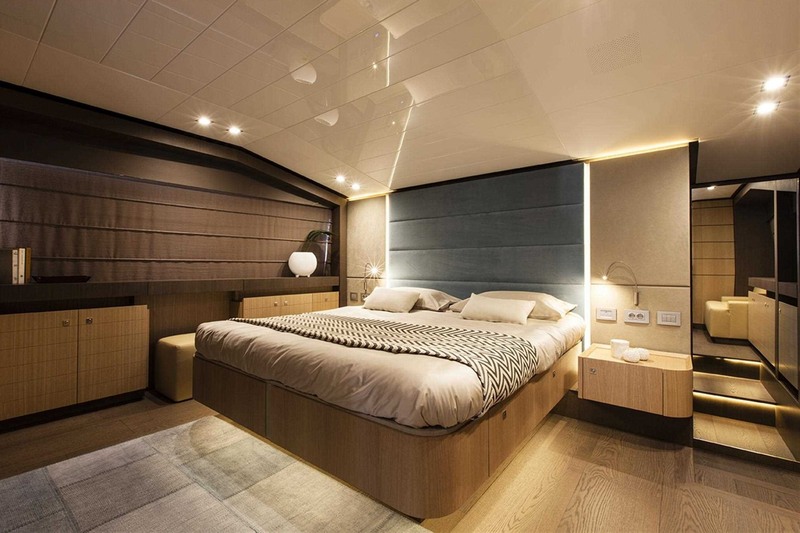 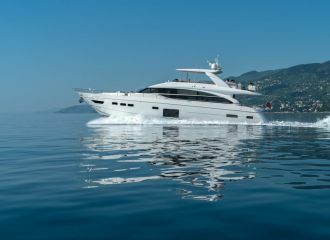 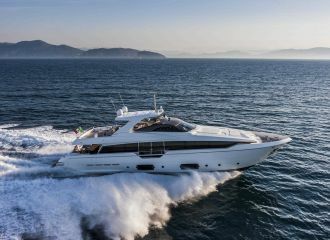 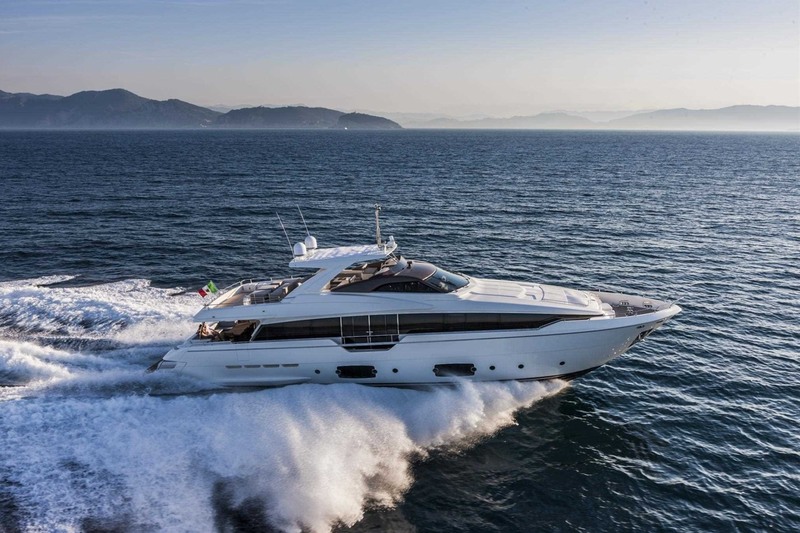 This Ferretti 960 yacht features accommodation for up to 10 guests in 5 cabins: 3 double and 2 convertible which can be either set up as a double or as a twin cabin. 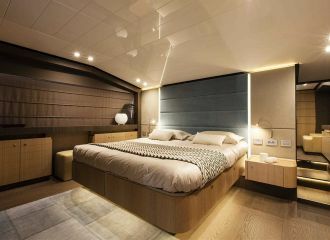 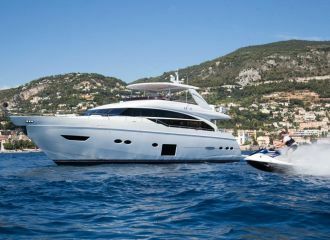 Available for a yacht charter in Montenegro as well as in Croatia. 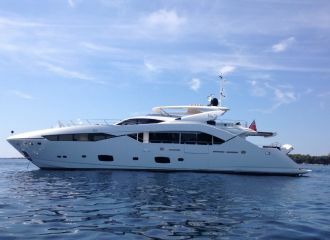 total 11300	€ Excluding VAT and APA ?